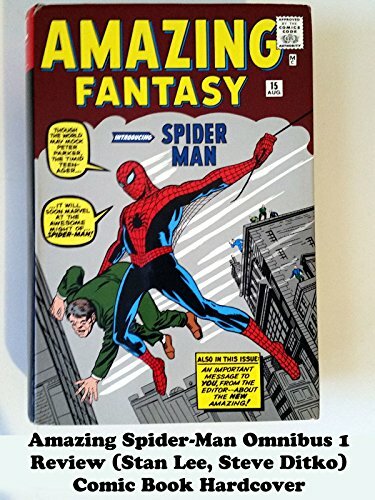 This is a book review on the Amazing Spider-Man Omnibus volume 1 artwork by Steve Ditko and the writing of Stan Lee. It includes issues Amazing Fantasy 15, Amazing Spider-Man 1 - 38. Simply put the creators of Spider-Man there complete comic book run together and is remastered on high quality paper. This book has a huge amount of pages and so many amazing issues. Highly Recommended get it.